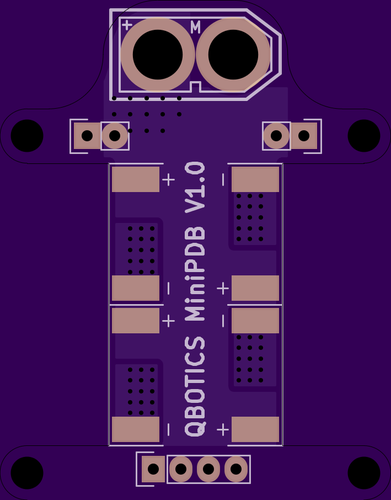 Its been a long time since i have done some hardware electronics but its something i want to do more of so i decided a Power Distribution Board for the quad was the perfect starter project. 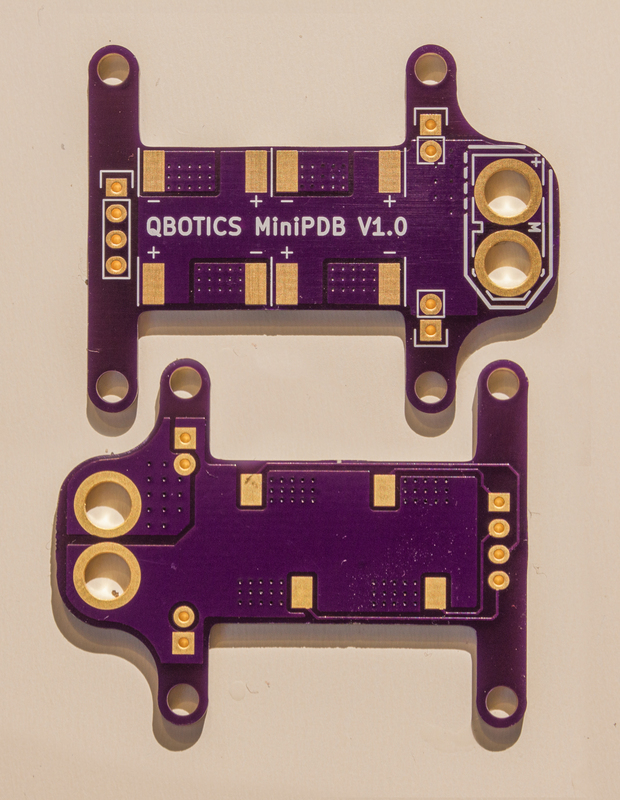 The idea behind this is to develop a Mini PDB specifically designed for the mini 20A ECS that are about right now for 250 or smaller mini quads. 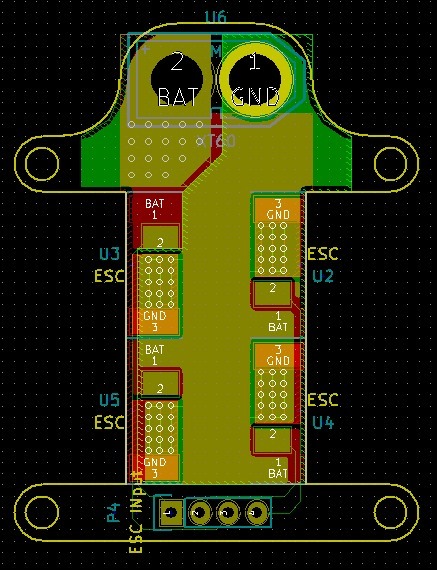 Also my first time using Kicad which was great once i worked it out. I have never had a PCB manufactured by a board house before but here’s what the OSH Park previews looked like. 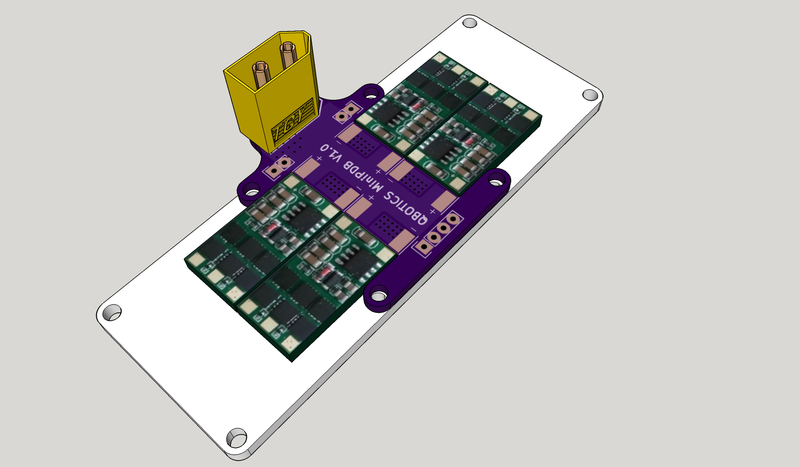 During the wait i decided to CAD it up and see what the result should look like with LittleBee 20a esc’s in place (Having models of these parts will help later when i decide i want to make my own frame). Finally today the wait was over. came home to find a nicely wrapped envelope form OSH Park in which i found my PDB’s. They look great. Super impressed with OSH park and i will be using them again. They are double sided, with solder resist and silk screen on both sides. Just 10 working days from design to my doorstep. And the cost of all this excellent service? . . . . i got 3 copies for £8.40 including shipping. Couldn’t ask for more.